Our guest blogger today is writer Karla Whitney, sharing some of her writer’s journey and the value of conferences and community to a writer. Back in April 2011, I attended Maine Crime Wave at University of Southern Maine. This was my first step in a self-induced program to face my fears. 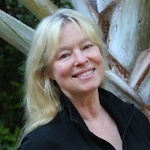 Although I’d written stacks of college curriculum and collaborated on writing and illustrating textbooks, I had secrets — files no one had seen — fiction, short stories, poetry, and an eighth draft of my first mystery novel. I was too afraid to submit my writing anywhere to anyone, because if I didn’t try, I didn’t risk rejection. Toby Ball, Gerry Boyle, and Cornelia Reed shared a panel discussion about writing mysteries. 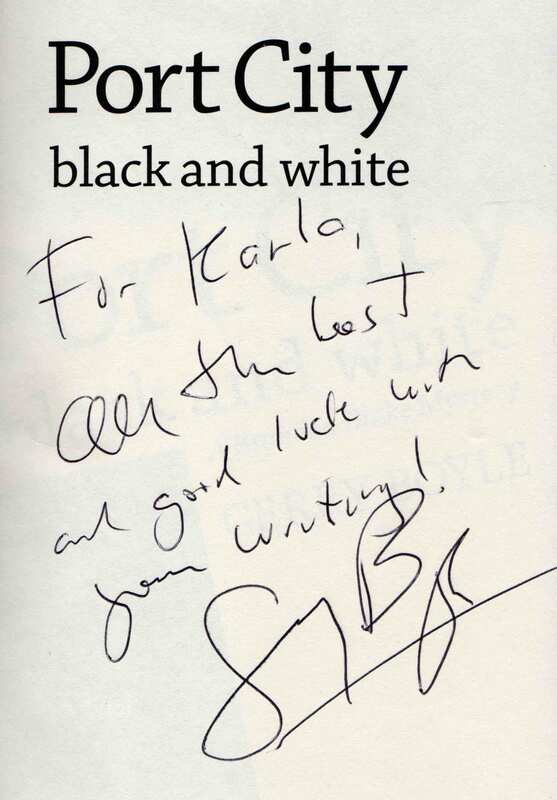 During break, I bought Gerry Boyle’s “Port City Black & White”, and asked his advice to a fledgling. He recommended New England Crime Bake as a means of learning about the business, and getting involved in the writing community. He also said writers work very hard, it was tough and competitive to get published, but that if I was any good, and persisted, publication was attainable. He didn’t make it sound easy, but he did make it sound do-able. Later that year, at my first Crime Bake, I felt enormous relief to meet like-minded adults who spend solitary hours upon days, inventing stories, solving crimes, hashing out words, anguishing over imaginary characters (and their pets), all inside their own mind’s eye. I was not alone and I was hooked. At Crime Bake 2014, I met an agent from Fuse Literary. When I explained my current non-fiction project focused on art and design, she directed me to a colleague at her agency. Researching http://www.fuseliterary.com/ I discovered ‘Short Fuse Guides’, just $1 each, written by Fuse agents. The guides are smart, savvy and practical, offering de rigueur tips for new and seasoned authors. Topics cover Query Letters, Book Proposals for Fiction and Non-fiction, Marketing, Promotion, Contracts, and more. Appreciation is ‘feel good’ therapy that doesn’t cost a dime. Thanks are due to Crime Bake and Maine Crime Wave organizers, agents who listen to rapid-fire pitches, panelist who share their time and insights, Level Best Books editors for selecting quality stories and giving new writers a chance, Sisters In Crime and Mystery Writers of America-New England for providing community, and Maine Crime Writers for the range of ideas offered in this blog. And thanks to Gerry Boyle for sound advice. Somewhere between my first Crime Wave and now, I ditched my fear of trying, applied what I learned in workshops, and tuned my inner ear to the muses. I’m still not crazy about rejection, but who is? Now I understand, like the habit of daily writing, it’s all part of the trade. This year’s upcoming Crime Wave, sponsored by Maine Writers & Publishers Alliance (MWPA), is April 11th at University of Southern Maine. Panelists include Barbara Ross, Lea Wait, Kate Flora, Gayle Lynds, Brenda Buchanan, Kathy Lynn Emerson, Paul Dorion, Gerry Boyle, Sarah Graves, and more. For information, contact MWPA at www.mainewriters.org or call 207-228-8263. Karla M Whitney’s first published mystery fiction, ‘More To The Point’, is included in Level Best Books Best New England Crime Stories 2015: Rogue Wave. She’s been drawing pictures, inventing stories, and turning them into books for decades. 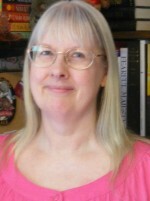 Her published work includes textbooks, editorial articles, illustrations, layout designs and comics. A second mystery novel percolates, while she polishes short stories and delves into another non-fiction adventure. She’s a member of SINC and MWA, and teaches art, writing and graphic design. This entry was posted in Guest Blog, Uncategorized and tagged Barbara Ross, Best New England Crime Stories 2015: Rogue Wave, Brenda Buchanan, Cornelia Reed, Fuse Literary, Gayle Lynds, Gerry Boyle, Kate Flora, Kathy Lynn Emerson, Lea Wait, Level Best Books, Maine Crime Wave, Maine Writers & Publishers Alliance, MWPA, Mystery Writers of America New England, New England Crime Bake, Paul Dorion, Sarah Graves, Short Fuse Guides, Sisters in Crime, Toby Ball, University of Southern Maine. Bookmark the permalink. It’s great to read about your journey, Karla — I look forward to seeing you at Crime Wave! 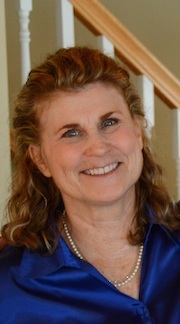 For anyone reading this who hasn’t signed up yet, go on over to the MWPA website (www.mainewriters.org) and register. It’s going to be a wonderful conference and if like Karla you have a secret life as a crime writer, you will find yourself among sisters and brothers. Thanks Brenda! See you then. Thanks for the reminder of how supportive the folks at the New England Crime Bake, and presumably the Crime Wave, are. Despite how competitive the writing business can be, I find the generosity and helpfulness of New England writers, agents and readers to be truly inspirational. Like you I wrote for academic markets for many years and needed a lot of help to take my secret passion for mystery writing out of the closet. Maybe you’ve found similarities between academic writing (presumably non-fiction) and fiction – the discipline of staying on task, clarity, continuity, editing, taking feedback, and writing with an audience in mind. But mystery fiction really is different, and these resources have been invaluable. Thank you for re-reminding me of Lawrence Block! Welcome, Karla! I’m so proud to be your first publisher at Level Best Books. See you at the Crime Wave. Thank you Barb. Being published in Level Best motivates me to keep working hard. I’m hoping Dean (first reader, and first and only spouse) will join me at the Portland Public Library Flash Fiction event on Friday. He’s read more MCW books than I have! And my sister, and one of our librarians, are planning on Saturday’s Crime Wave. That’s so great. See you there.